Heavy-duty steel construction. Secure iPad Holder with blocked 'home' button access. Compatible with all Innovative mounts. Keeps the iPad accessible yet safe. This version blocks user access to the 'home' button. 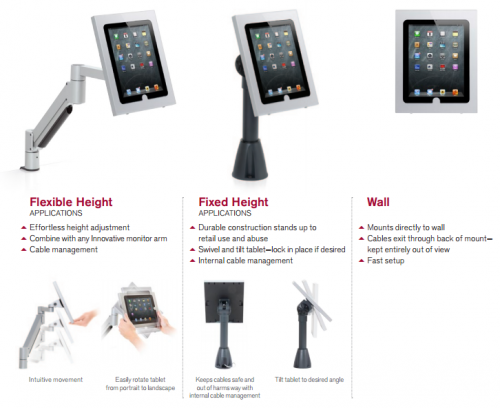 Combine with any Innovative mounting product for a secure self-service or POS application! Blocks user access to 'home' button. Secure and durable steel construction. 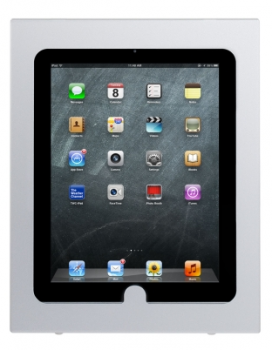 Keeps iPad safe yet still accessible. Compatible with iPad generation 1, 2, 3 and 4.